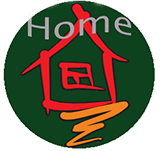 Thank you for your interest in HomeofShanghai Housing. Our extensive property database includes 98% of Shanghai’s property information. Old house, new apartment, downtown location or suburb villa, we will help you to find the best housing solution to reach full satisfaction. Just fill out the following form and we will show you the best options available on the market. We also offer continuous support for relocation, school hunting, city orientation, immigration issues and overall coordination to assure you a soft-landing to your new life in Shanghai.